When something gets big enough to attract a great deal of media coverage and conversation, it’s inevitable that not all the attention will be positive. Take Justin Bieber. Or Miley Cyrus. Both have detractors as vocal and as passionate as their fans. Content marketing is certainly no teen idol, but as interest in the topic continues to hockey stick up the charts, the naysayers are coming out in force. Now, I can be as contrarian as the next guy, but I have yet to see a cogent, well-reasoned argument against content marketing. Instead, detracting arguments seem to be ill-conceived, knee-jerk negativity based on conjecture or downright ignorance. Let’s take a look at the content marketing haters’ prevailing arguments — and debunk them. Marketing contains many discrete areas of specialization. It’s helpful to have terminology and definitions to describe these separate disciplines. Let’s just all agree to move beyond the semantics, shall we? You can argue a point like this until the cows come home. Ultimately, it doesn’t help move anything forward, or provide much clarity. Love it or hate it, “content marketing” is the industry standard term now, so learn to live with it. Oh yes, you can. Establish the appropriate mechanisms and strategies in advance of implementing content marketing initiatives, and you can measure up and down the funnel: intent to purchase, brand favorability, awareness, amplification and so much more. 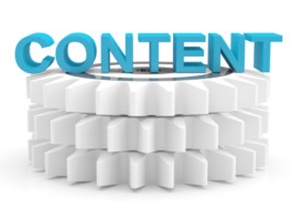 Even that shining, most exalted ROI metric can be extracted from content marketing efforts. Doing so, however, requires discipline, strategy, tools, and an understanding of what to measure, and what KPIs matter to the brand. Rarely are these metrics the same as the ones used by publishers, yet publisher metrics are all too frequently (and mindlessly) applied to content initiatives. That’s not content marketing’s fault. That’s a lack of planning — and maturity — on the part of marketers. Without content, there is no social media — but content marketing is not social media’s equivalent. Content is owned media: it’s media created by a brand for marketing purposes, and distributed or published on media the brand owns or controls. Social media can be that, but it also heavily relies upon earned media (e.g., from fans or followers), sometimes even paid promotion and distribution. Paid, owned and earned media are converging and commingling in all sorts of new ways, but pure content marketing is no more social media than it is advertising. SEO can certainly be a primary or secondary goal of content marketing — and indeed, without content there can be no SEO — but my research indicates that SEO is diminishing in importance as a stated content marketing objective. Like social media and search, content marketing can certainly be about storytelling, or forming a narrative to relate a compelling message about a brand. But content marketing goes beyond storytelling into utility, thought leadership, education and other initiatives that are useful, compelling and effective, but hardly narrative. I always learn from Rebecca. She is the most insightful and profound on the essence of Content Marketing and her book is my bible on the subject.